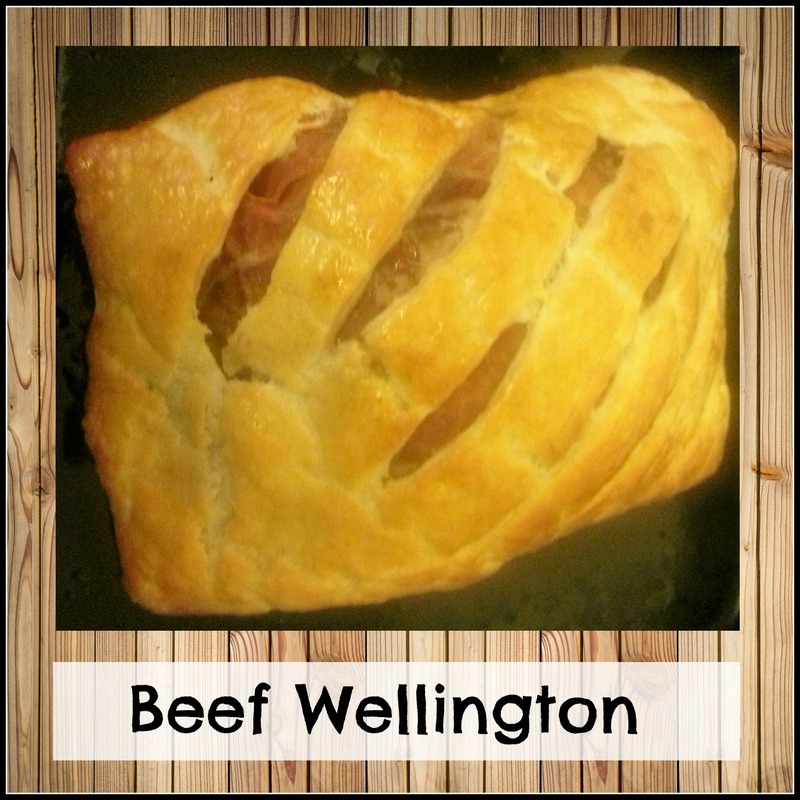 It's Buy British Day today, so how about a British classic, Beef Wellington? When I did my coupon shop recently, I bought a Tesco meal deal, which included a small beef joint. It wasn't really big enough for the whole family, so I had to get creative to make it stretch. I had a look around for a Beef Wellington recipe and found they varied in difficulty from a bit complicated, to 'degree in catering required'. As I'm quite lazy, I simplified the recipe as best I could, and it was still really, really nice. Here it is, for any other lazy, cheaty 'chefs' who fancy giving it a try! 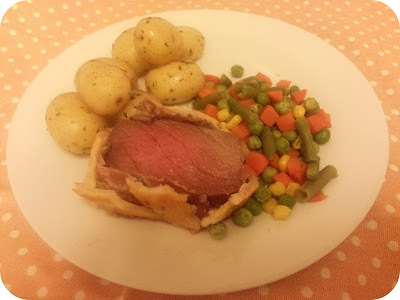 For the perfect Beef Wellington, you should use fillet of beef, which is pretty expensive. Add in the cost of prosciutto and shitake mushrooms and this is a pretty luxury dish. However, to save money, we used a standard beef joint. It was a lot chewier than it probably should have been, even cooked quite rare, so it pays to buy the best you can afford. 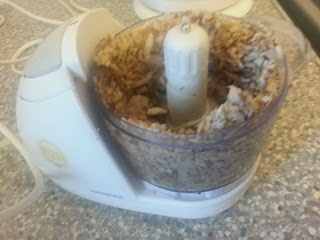 Next, chop the mushrooms really finely, ideally with a food processor. You eventually want a paste, with a consistency close to pate. Again, this is to avoid moisture from the mushrooms running into the pastry and soggying-up your bottom, so this part is crucial. Into a frying pan, add your mushroom puree and a few tablespoons of white wine. You need to reduce this down in the pan as much as you can to remove the moisture, so don't rush this step! Once it looks paste-y, leave to one side to cool. You can drain on same kitchen paper, as an extra precaution. 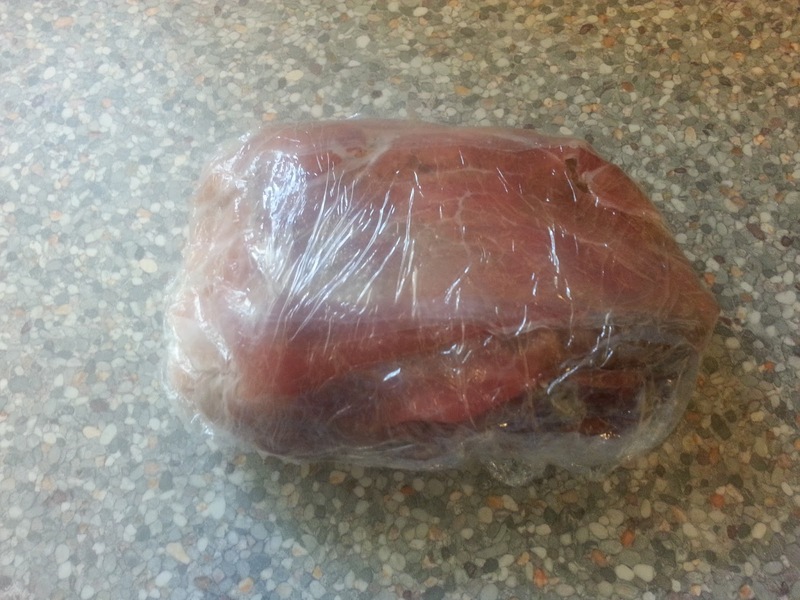 Take two sheets of cling film and lay them flat on your work surface. Lay the prosciutto ham in a row, so that the slices overlap slightly. You need enough to cover the meat all the way around, so imagine you are wrapping a present. Spread the mushroom paste over the ham and place the beef in the middle. 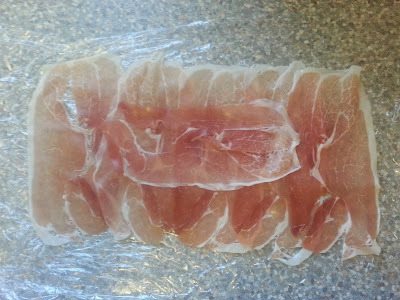 Using the cling film to lift the ham, wrap it around the meat, like a parcel, then wrap it tightly with the cling film and chill in the fridge until it cools. Mine took about 15 minutes. 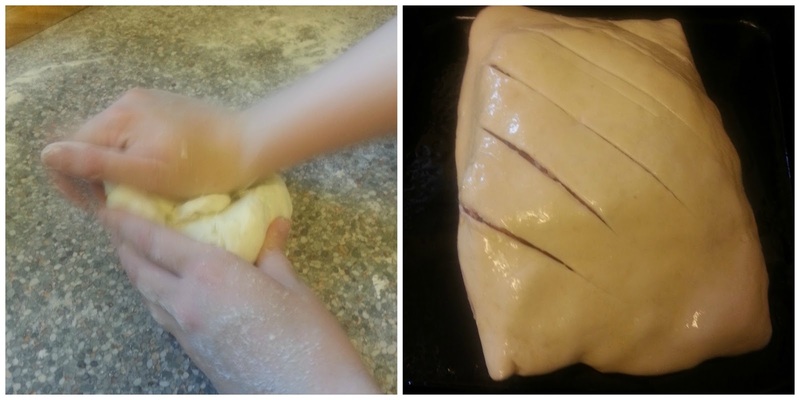 While the beef is chilling, roll out the pastry so that you have enough to wrap the meat. 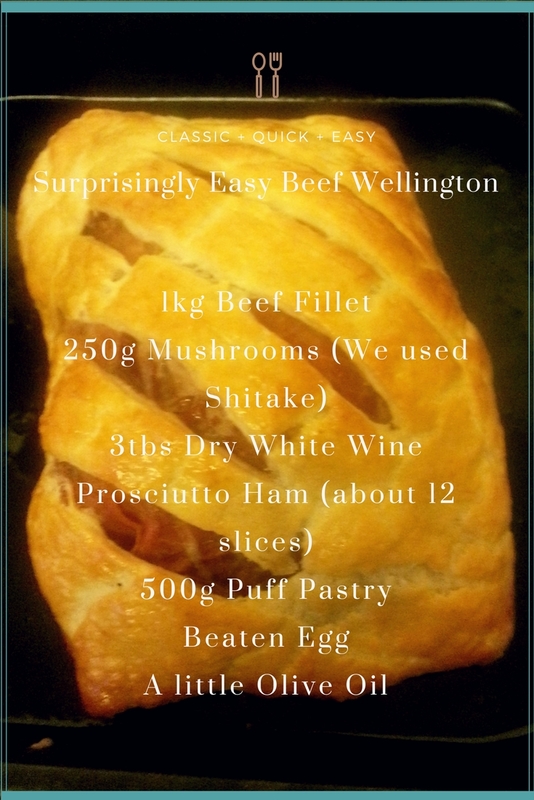 Place the beef in the middle and brush the edges of the pastry with beaten egg. Then parcel up your beef. Keep the edges smooth and try not to bunch or layer the pastry too much, so that it crisps up evenly in the oven. Place back in the fridge to chill for as long as possible. It helps the pastry base to stay crisp if the Wellington is as cold as possible before it goes into the oven. Remove from the fridge, glaze with a bit more egg and score the top of the pastry, before placing in a hot oven (200C) for around 30 minutes. This sounds simpler than I thought it would be, I might give it a go. An excellent idea! I never would have thought of this. I need to be more creative at dinner time! My husband would love this, will have to try sometime soon! Fantastic. It looks good! I think I will have to try this out. It looks good though :) and easy! I keep meaning to make this for the OH as a treat, may have to do so as a lovely autumnal dinner. This is making my mouth water! I am going to try this over the half term holidays when I have a bit of extra time!!!! Great comment - Beef Wellington Rules! !